New year, new products! We are excited to unveil our first new formulas of 2019. Below, you’ll find two new additions to our soothing and clarifying Cicarelief range, as well as two new regimens inspired by teaming up with our friends at Studio86! 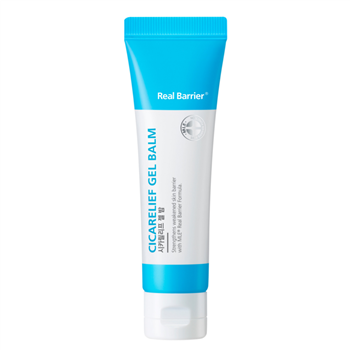 NEW Cicarelief Gel Balm features 66% centella asiatica, an ingredient rich in amino acids, beta carotene, fatty acids, and phytochemicals. It is well-known for boosting wound healing, making it the ultimate choice for treating acne blemishes and other topical skin ailments. 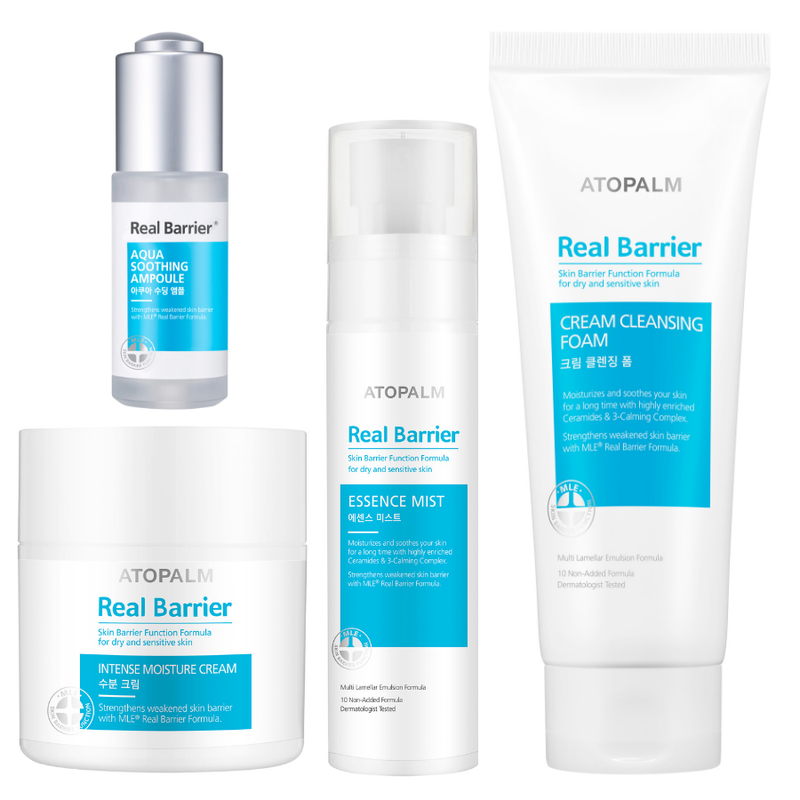 In addition, the Real Barrier three-calming complex soothes and comforts skin while MLE restores the skin’s barrier. 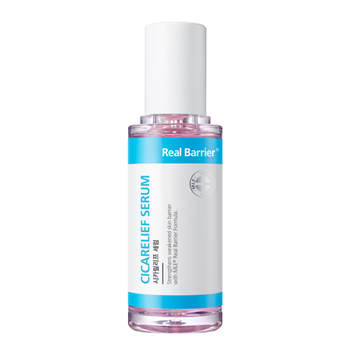 NEW Cicarelief Serum is a concentrated blend of centella asiatica, ceramide 3, and MLE, as well as a “Pink Calming Complex” featuring calamine and vitamins. These ingredients, along with others, deeply soothe and repair skin while brightening and evening the skin’s skin tone. It’s an excellent treatment for acne scars and hyperpigmentation, or for any skin type looking to refresh the complexion. We believe that a regular daily skin care routine is essential to your skin’s health and comfort, so we’ve teamed up with Studio86 to create a ready-made Real Barrier regimens to make your mornings and evenings easier than ever. Not only will you receive everything you need to care for your skin morning and night, but you’ll save a whopping 40% off retail price and receive free shipping* when you order the daily or nightly routines! *Free shipping available only within the contiguous USA.